So, you have mastered the jaw position. How about the form? Are your surgeries minimally invasive enough? Orthognathic surgery is more than LeFort I osteotomy, BSSO, and genioplasty. MORE THAN A COURSE. BETTER THAN A HOLIDAY. Ever wondered what it would be like if a course was not a course, but a holiday adventure full of professional discoveries and fun sessions? This summer, BSCOSO goes for a perfect Learn & Fun holiday. 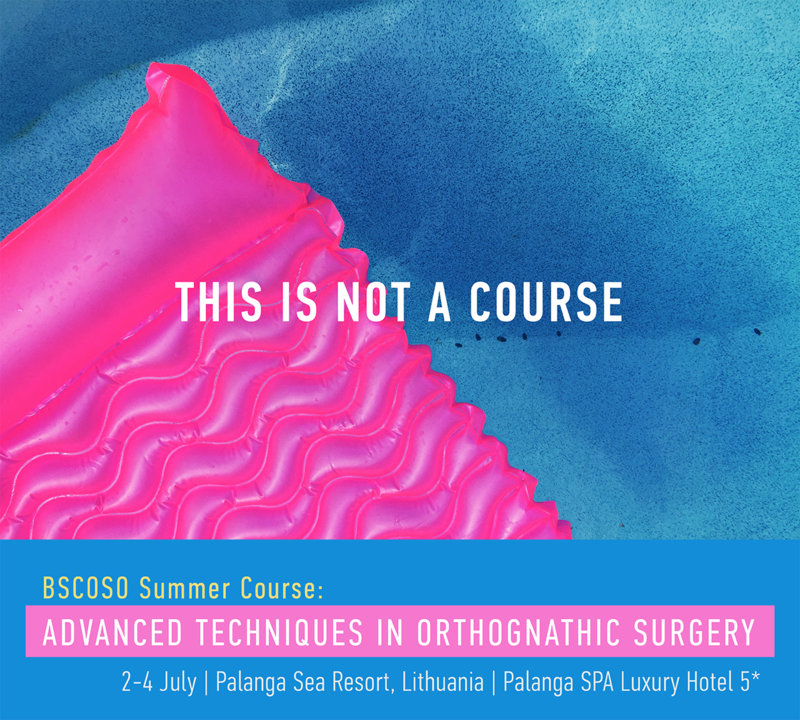 Set up at a luxurious SPA hotel in Palanga Sea Resort and coached by the best possible holiday partners – a sunny, Southern company of top-class speakers from Brazil, Spain, Italy (and Lithuania) we will explore advanced techniques in orthognathic surgery. With 20 hours and 17 topics this is not a course. This is an advanced encyclopedia live. DIVE into advanced techniques in orthognathic surgery with the top-class instructors. REVIVE in an international company of colleagues through endless social & spa activities. DERIVE your new professional skills and be a star in orthognathic surgery.